Asked if he accepted that there had been a Holocaust against the Jews, he responded that he was not going to use their trade name. 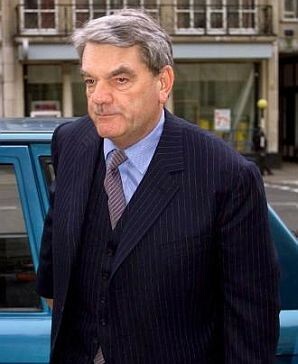 TEN months after being freed from an Austrian jail, where he served one-third of a three-year sentence for breaching Austria's Holocaust-denial laws, David Irving is planning a "comeback tour". His website invites browsers to hear him speak in Birmingham (October 26), Coventry (November 14), Liverpool (November 26) and Halifax. Those responding are asked to supply an address and phone number (obligatory). He has cooled on the idea of sharing a platform with British National Party leader Nick Griffin at an Oxford Union debate. Yet despite protestations that his views on the Holocaust have changed, few of his countless critics are in any way convinced. Although he remains a prolific author, Irving's reputation as a wartime historian was demolished by high-profile court cases in London and Vienna. In 2000, he sued American academic Professor Deborah Lipstadt and Penguin Books for libel in the High Court over being called a Holocaust denier in Professor Lipstadt's book, Denying The Holocaust. Following weeks of emotive testimony, Mr Justice Gray found for the defendants, describing Irving as a Holocaust denier and an antisemite. In a mammoth written judgment, he found it "substantially true... that Irving has for his own ideological reasons persistently and deliberately misrepresented and manipulated historical evidence; that for the same reasons he has portrayed Hitler in an unwarrantedly favourable light, principally in relation to his attitude towards and responsibility for the treatment of the Jews; that he is an active Holocaust denier; that he is antisemitic and racist and that he associates with rightwing extremists who promote neo-Nazism". Irving was declared bankrupt in 2002 after failing to pay one penny of the interim £150,000 costs awarded against him. The Austrian case in 2006 related to speeches delivered in that country in 1989 which denied the existence of gas chambers. He had been arrested on returning in late 2005 to deliver further speeches, in defiance of a ban. Irving pleaded guilty and his lawyer appealed for clemency for an elderly man with a young daughter who posed no threat to Austria. But the judge cited the London libel trial verdict and called Irving an antisemite. Asked by The Guardian last month if he accepted that there had been a Holocaust against the Jews, he responded that he was "not going to use their trade name". Moreover, his views on the Holocaust had crystallised rather than changed. Jews were responsible for what happened to them during the war, and that nearly all the wars over the past century could be attributed to the "Jewish problem". He did acknowledge that the Nazis organised and directed "a clandestine programme for the liquidation of European Jews. "In my opinion, the real killing operations took place at the Reinhardt camps west of the Bug river. In the three camps there [Sobibor, Belzec and Treblinka], Heinrich Himmler's men killed possibly as many as 2.4 million in the two years up to October 1943." Speaking to the JC on Wednesday, Irving reiterated his assertion about the Eastern front, but insisted that Auschwitz was "not a major death camp". Nor was he moved from his view that Hitler was not "involved in the mass murder of Jews". Did he now accept the acknowledged figure of six million deaths? "Mathematically, it may have been in that order of magnitude. There were other killings. But I am not into numbers. The figures are not important. Every death was a tragedy, whether it was three million or six million." 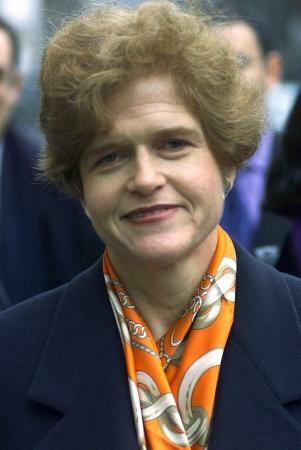 Contacted this week, Richard Rampton, QC, one of the legal team for Deborah Lipstadt and Penguin, pointed out that "one of the findings in the Lipstadt hearing was that he [Irving] was a Holocaust denier and that his motive was antisemitism. There is no question that from 1988 onwards he was a persistent denier." He would remain so "if he is still denying the facts about Auschwitz". Another member of the defence team, Mishcon de Reya partner James Libson, stressed that "Holocaust denial can be to accept some but to deny other aspects [of the Shoah]. Irving has a history of trying to accept aspects in a bid to rehabilitate himself." American history professor Christopher Browning -- who provided evidence for the defence -- believed that Irving's latest move was an attempt "to bait people. I think he is being a little more careful now. He's become quite unpredictable other than he won't bad-mouth Hitler. What the Lipstadt trial did achieve was stopping Holocaust denial under the guise of academic freedom." 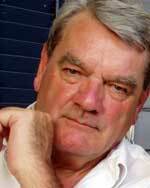 "Ugly" ADL chief Abraham Foxman expressed dismay, though not surprise, that David Irving, below, "has once again reared his ugly head." In a statement from New York, Anti-Defamation League director Abraham Foxman expressed "dismay, though not surprise, that Irving has once again reared his ugly head. His recklessness as a historian, as well as his bigotry, is well-documented, so it is highly unlikely that he will ever again regain credibility among legitimate scholars. Unfortunately, his new speaking tour will continue to attract and inspire Holocaust deniers and antisemites. 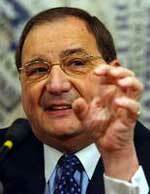 "All he is doing now is playing with numbers, which is a classic Holocaust denier ploy." Laurence Rees, producer of several BBC documentaries on the Nazis and the Holocaust, believed it best "to ignore him and deny him the oxygen of publicity". A similar sentiment was expressed by Professor Tony Kushner of Southampton University, whose areas of expertise include Holocaust studies and antisemitism. "All these student unions think they are being very clever [for inviting him] but they are playing into his hands. "He has always accepted some element of what we would call the Holocaust, but not the whole systematic scale of it, and he is continuing on that path. It is always a crude, sensational and wrong-headed version of the past." At the Documentation Centre of Austrian Resistance [Website note: The Austrian body which engineereed the arrest warrant for David Irving issued in November 1989], scientific director Dr Brigitte Bailer was scornful of Irving's claim that he was not a Holocaust denier. "He lies," she declared, alleging that after his trial in Austria, "he again stated that he doubts the veracity of the Holocaust. 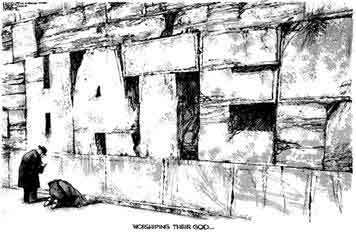 So I don't know how he can maintain he is not a Holocaust denier." Dr Bailer voiced astonishment that Oxford students had invited Irving to address them, giving him "an honour which he does not deserve, an importance he does not have. He is doing evil political propaganda. He wants to be esteemed as an historian, but he isn't." "We were shocked here that the second he appealed against his sentence, he was acquitted. Is it because he changed so much? Not at all. He is exactly the same." Auschwitz survivor Trude Levi recalled encountering Irving when she worked in London-based Holocaust resource the Wiener Library in the early 1960s. "He was coming in to do research," she recalled. "He was good-looking, very well spoken and very polite, but for some reason we all had an uncanny feeling about him. Then, when his book came out about Dresden, we realised he was in love with Hitler." Previously: Jewish Chronicle expresses Outrage of Traditional Enemies of Free Speech at David Irving's UK tour: pulling out all the stops to get the meetings banned and cancelled | Its leader-writer gets tangled in a twist: "Freedom of speech is one of the principles our society holds most dear. ... That is why we urge any public-hall booking clerk, university administrator or private landlord to refuse to give Irving a platform"